Running detecting rallies: it’s a living, innit? The Keyston Metal detecting Rally took place a week ago adjacent to the busy A14 dual carriageway in Cambridgeshire and in full view of umpteen thousand passing motorists. 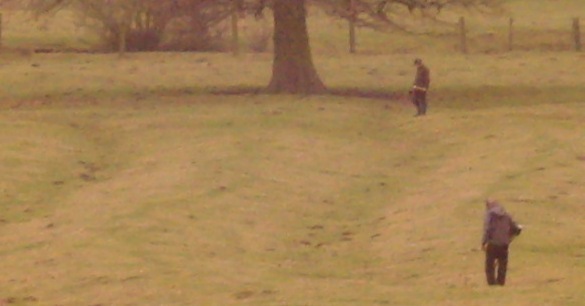 It was on 200 acres of ridge and furrow pasture, the fourth time in a year Central Searchers have targeted such land, flouting the Code of Responsible Detecting, the official Guidance on Metal Detecting Rallies, the wishes of many decent detectorists and all archaeologists bar none. 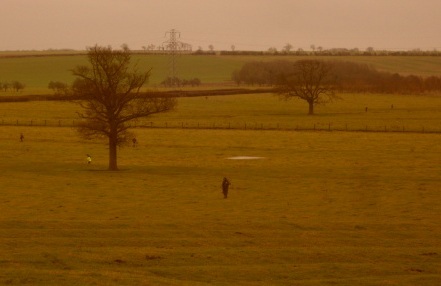 Worse, these particular ridge and furrow fields were identified in The Midland Open Fields Survey as “of regional or national significance” and perhaps, according to English Heritage, “of international significance”. As usual, there has been no official public comment about it. Leaving the complaining to the likes of us is hardly an effective conservation strategy on the part of the Establishment since anything we say gets dismissed by those who find it convenient or profitable to do so. It’s also unfair to leave us looking like the only ones opposed since who can even pretend to deny that the most unprincipled events, by their very nature, attract the most unprincipled detectorists so we are left as the focus for anger and threats from the likes of Central Searchers customer “Big Mick” who has left us the message “A word of friendly advise! we know who and where you are”. Only two rally organisers agreed to the official guidelines. Central Searchers wasn’t one of them (and one of the two has pulled out). We can’t help thinking that if this landowner had been given a full official account of the implications this event might not have taken place. So all in all it seems high time (and a duty owed) for PAS, CBA, EH and DEFRA to make it crystal clear to landowners, detectorists and the tens of thousands of people that travelled along the A14 last Saturday that what was going on was damaging and that such rallies are against all professional advice and wishes. After all, those thousands of landowners and motorists may well think that since rallies are obviously not nighthawking (and are often dressed up as “for charity”) they must be beneficial – for that is the broad message that has been constantly delivered to them for years! Quod erat demonstrandum eh M8? Become an amateur archaeologist Steven. The good people of Heritage Action *do* have a life – one of preserving our heritage against the odds. You and the majority of your ilk however do *not* have a life; you go out collecting the material manifestations of our heritage with little or no regard to the context in which they are found. You fall into the same category as the egg collectors of yore; destroying native birdlife and its habitat for nothing more than pretty trinkets in a glass case. You will go the same way as the egg collectors; confined eventually to the dustbins of a bad practice, practiced by people with a bad attitude. Thanks to great hobby we have given this country some of the most important archaeological discovery’s ever found. We certainly disagree that the event didn’t breach the CoP. Our actual wording was that the event flouted “the Code of Responsible Detecting, the official Guidance on Metal Detecting Rallies, the wishes of many decent detectorists and all archaeologists bar none“. If you remain in the slightest doubt on the matter we suggest you ask PAS, EH or ANY archaeologist or heritage professional. It was not a “slur” since it actually happened and it did not relate to the “hobby” but to that section of it that is so lacking in understanding and conscience that it attends such events, tries to defend them and tells critics of them to get a life. It does not flouted “the Code of Responsible Detecting, the official Guidance on Metal Detecting Rallies this is something you are simply making up. Digging down to around 4-5 inches in ridge and furrow pasture and filling your small holes in cause no damage what so ever. We have found nearly all the major important hoards in this county without us they could not be enjoyed by people viewing them in museums. I’m afraid we shall have to disagree. In our view holding a rally there and attending it were both manifestations of the completely unacceptable and ignorant face of detecting and no amount of noise or denials is likely to convince us otherwise. We should prefer to take our lead on this not from those who profit by such an event or attended it but by unanimous educated opinion. Whose opinion are you guided by? Big Mick’s? If you remain unconvinced we can only repeat that you ask PAS, EH or ANY archaeologist or heritage professional. If you can find one that says the event wasn’t damaging then by all means come back and tell us. In the meantime, thanks for your input, it has been immensely illuminating. It is people like you that make this world a not so nice place, you are no better than any radical extremist organisation, brainwashed and tunnel visioned, dissolusioned by your own self importance. If you were in the Muslim faith and talking so hatefully MI5 would be following your every move. A very well known rally organiser [……………………………………………………………………..] this is tax free earnings as this individual is unemployed and claiming benefits is there no justice in this country. We have removed those parts of your posting that identify a person. If you are aware of wrongdoing we suggest you report it to the appropriate bodies. I’m really confused by the comments on here. I haven’t been detecting yet but i’m hoping to join Central Searchers soon so that I can engage in this interesting and enlightening hobby, I have had to search for a club so that I can do this legitimately and legally. To join the club I have to be a member of NCMD or FID and hold relevant insurance provided by either of these organisations. The big limitation to this passtime is that every square inch of land in this country is “owned” by someone. Do you have solid evidence that Central Searchers have irrepairably damaged ridge and furrow land ?. I’ll admit that all I think I know about ridge and furrow is that it was an old farming practice that dates back to medieval times. I’m not aware that walking on this land damages or destroys it nor does digging small holes and refilling responsibly. I don’t know any archaeologists but I would love to know what they think about the comments on this site made by Heritage Action. I Agree that certain parts of our past should be preserved, but I also think that it should be made available for everyone to enjoy and discover within reason and certain boundaries. I do find the comments on here quite alarming and I find that the taking of pictures from a far very very suspect. why are Central Searchers acting irresponsibly ? I’m not asking this as a challenge, I would really like to know in a calm and collected manner and not be instructed to “go and ask an archaeologist”. I wonder what our ancestors would be thinking about all this ? would they be turning in their graves because there are people walking on the land that they used to break their backs working ? or would they see this as a slighlty strange argument coming from someone with rose tinted middle class spectacles ?. Detecting Rallies, “it’s a living innit” “it’s legal innit” etc etc I don’t think there’s a lot of money to be made for the time involved do you ? Legal yes, responsible ?, why not if care and respect for the land and surrounding countryside is a priority, if a mess is left behind by any club it is my understanding that the club would not be allowed back on the land ? . Thanks for your time and apologies for any spelling mistakes !. Well, you would love to know what archaeologists think about what we say but you dont want to be instructed to “go and ask an archaeologist”. Thats quite a poser and we have no solution. If you get a NO in either case then we suggest you use your own judgement on the matter, not ours or an archaeologists. I asked “you” what have Central Searchers done to damage the ridge and furrow in question and why were they acting irresponsibly ? , I would like to fully understand your position and why you feel it necessary to post pictures of people indulging in their chosen hobby lawfuly and peacefully, and furthermore call a club and its members crass and irresponsible. I genuinely do not understand your reasoning, I have never met the club organisers or members although I am hoping to do so within the coming weeks. I have never heard of or met you before until I stumbled across this website, I find your rantings rather extreme and one sided. 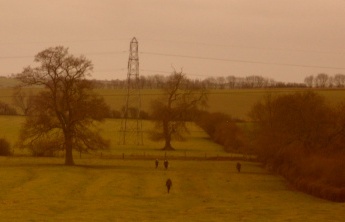 There are roads being ripped through unspoilt countrside as we speak because it happens to be beneficial to certain members of society living in expensive houses in quaint little villages, when I compare this to what these detectorists are or are rather not doing I find it difficult to take these posts seriously. Are they needlessly damaging these fields ? do you have evidence ? do you need to take pictures and insult ?. I wouldn’t say that im coming from an entirely neutral position, you have made these remarks and posts all i’m asking for is complete clarification from a legal and responsible point of view. I think you said it all, you say you are coming from a neutral position but consider what we write is “rantings”. come to the conclusion that you were right on at least one point. Resorting to complete censorship eh ? , a comment above said something about extremism. How could anyone possibly take you seriously ? , I didn’t post anything offensive but you chose not to make it public shame on you !. Sorry Peter, our mistake. We note that you’re NOT coming from “a neutral position” you’re coming from a “whats wrong with helping myself on an archaeological site of national and international importance” position. You’ll forgive us if we dont waste our time trying to explain it to you. Did you ask them if they ran their rallies in accordance with the guidelines? I think we all know you didnt, and why. Goodbye. Not at all. You posted the same message three times, we deleted 2 of them and published the third. Thank you. Don’t forget to post my “final word on the matter” comment. I have the converstaion saved in case you lose it. No. Youve had your final word. 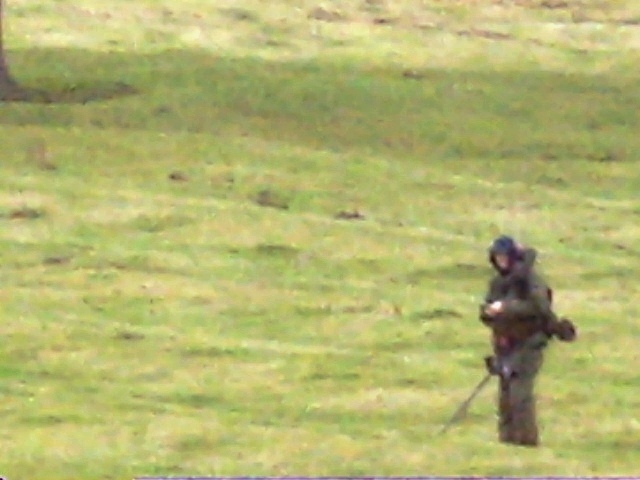 Quite why a metal detectorist thinks he has a right of speech on a conservationists website heaven knows. Sew up your pockets, desist from doing what would get you jailed in most countries, join an archaeology society and reapply. You’ll get a better reception. Goodby AGAIN.